Book direct and get: free continental breakfast free parking free wifi terms & conditions apply. 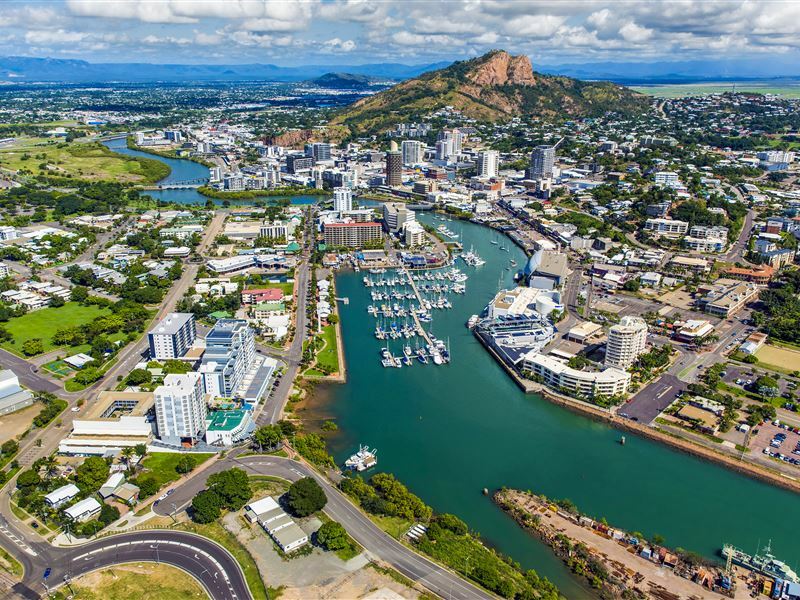 Townsville is the largest city in North Queensland situated 350km south of Cairns and 260km north of the Whitsundays. The Townsville Region itself extends north to Hinchinbrook, south to the Burdekin, west to Charters Towers and encompasses The Palm group of islands, including Magnetic Island. The diversity of the region provides a welcoming mix of rainforests, reefs, sandy beaches, outback towns, and islands. The Ross River flows through the city to its outlet in Cleveland Bay where Magnetic Island lies, just eight kilometres offshore. Castle Hill is an iconic landmark of Townsville, at 292 metres (958 ft) metres high (just 8 metres short of being a mountain), this mass of red granite dominates the city skyline and is the perfect place to orientate yourself with the city. The traditional owners for Townsville are the Wulgurukaba and Bindal people. There is evidence in local rock art and sites that they have occupied the area for thousands of years. The Wulgurukaba are ‘canoe people’ and lived on both Magnetic Island and Townsville’s mainland and north up to Rollingstone and west to Reid River to the south to the Haughton River. They maintained their traditional lifestyle until the 1920 and 1930s using canoes to travel between the mainland and the islands. Their canoes were made from folded bark (from Eucalyptus trees) stitched together at each end with pieces of cane, or a dugout canoe, which were later adapted to become and outrigger type. Bindal people’s country extends from north of Townsville around Black River, south to the Haughton River, east to the Barrier Reef (excluding Magnetic Island) and west to the Mingela Range. Wukgurukaba and Bindal people continue their custodial responsibility for country by being involved in Federal and State Government programs with the Burdekin Dry Tropics Natural Resource Management to ensure the cultural, spiritual and economic relationship to country, both land and sea is respected. The Manbarra people traditionally occupied Palm Island and its outer islands. The Manbarra traditional owners continue to manage their land and sea country around Palm Island. The Juru (Birri-gubba) people traditionally occupied the country north from the Haughton River to Mt Gordon south of Bowen, east to the outer Barrier Reef and west to the Leichardt Range. 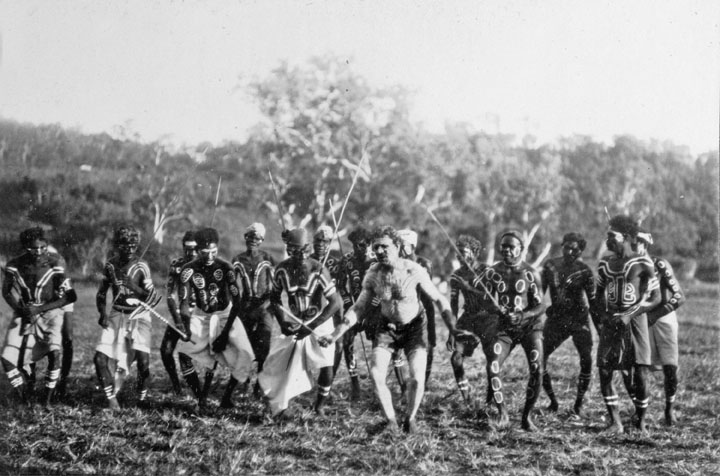 The Birri-gubba people once travelled frequently between Mt Elliot and the Burdekin River, through areas occupied by other groups, but there were recognised meeting places. To the north, neighbouring groups such as the Nywaigi people are traditional owners for the area from the mouth of the Herbert River south to the north bank of Rollingstone creek and westward to Mt Spec and Paluma; and the Warrgamay people are traditional owners for Halifax Bay to the Herbert River Gorge area. In earlier centuries, the country or traditional land of the Wulgurukaba and Bindal people would have extended out towards the continental shelf because the sea level was much lower up until 6000 years ago. The rise in sea level began during the Pleistocene period but increased more rapidly about 7000 years ago and stabilising about 6000 years before present time. Evidence has been revealed by archaeological surveys of the shell middens deposited along Queensland’s coastline. 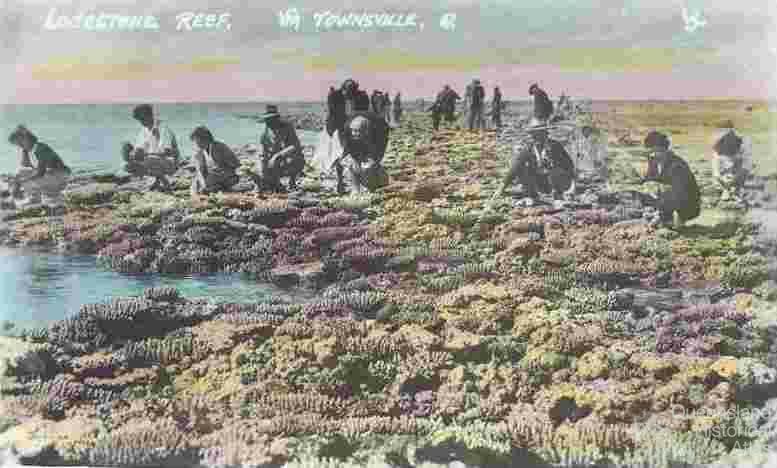 Before the sea rose, there was a coastal plain for 2000 kilometres along Queensland’s eastern coastline that extended seaward for approximately 200 kilometres. Historically the original coastline provided a combination of wooded and grassed plains to support Australian fauna and hunting grounds for Aboriginal people on what is now the Great Barrier Reef. This theory supports traditional Aboriginal oral history handed down from one generation to the next retelling stories of vast hunting grounds that once extended beyond today’s coastline out to the present Barrier Reef, and of the rising sea level thousands of years before. Before the arrival of European settlers in 1864 to the Townsville area, Cleveland Bay and Magnetic Island had been charted by Captain James Cook on 6th June 1770 during his northern journey along Australia’s eastern coastline. At that time rocky headlands and mangroves were the predominant features along the shoreline. Captain Cook named Cleveland Bay, Cape Cleveland and Magnetic Island (or Magnetical Isle) as he sailed past in HMS Endeavour, and noted in his log the sightings of "several large smokes upon the main", as well as some people and canoes on one of the Palm Islands. Joseph Banks went ashore on Palm Island, but recorded no details as to the size of the Aboriginal population at that time. The sightings of numerous smokes may have been signal fires, passing on the news of the strange craft out to sea, but are just as likely to have been grass fires for burning off in search of game. 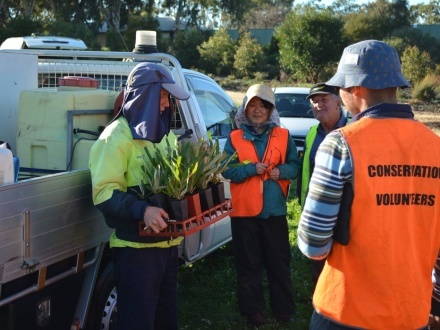 The first European to land on the shores of Cleveland Bay was Allan Cunningham, a botanist who named many plants and trees from the region, during Philip Parker King's survey cruise of the Australian coast in 1819. Local huts made by the Wulgurukaba and Bindal people were visible in clearings, described as "of capacious circular form and neatly thatched with foliage of pandanus". Mulvaney, J. and Kamminga, J. (1999). ‘Prehistory of Australia’, Allen and Unwin, Crows Nest, p.273. When Captain Cook reached the Endeavour River and named Cooktown, he and Joseph Banks also documented some local Aboriginal words from the Guugu Yimithirr language of that area, and this was the first time an Australian Aboriginal language was documented, the word ‘Gangurru’ means black kangaroo, but today we use the word as ‘kangaroo’. History kindly provided by the Museum of Tropical Queensland. 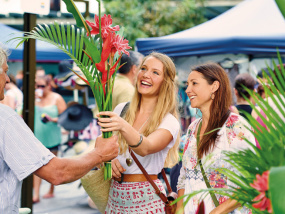 Flinders Street Central is the traditional heart of Townsville, home to a variety of retail shops and hosting North Queensland's largest arts and crafts market. The Cotters Markets are held every Sunday morning with over 150 stalls showcasing locally made timber, pottery, jewellery, art, candles & soaps, preserves, fresh produce, plants, flowers and more. Flinders Street East boasts a diverse mix of restaurants, nightclubs, pubs and wine bars. 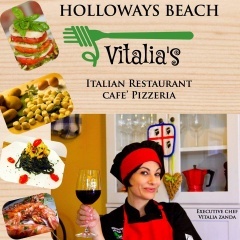 An emerging hot spot for diners before meeting friends for an evening out on the town. Palmer Street is located on the south bank of Ross River, and boasts international cuisine and metropolitian accommodation. A visit to this premium eat street is a must for enjoying award-winning cuisine. The Strand is one of Townsville's great cultural highlights. This spectacular waterfront promenade is perfect for families or for those wanting to soak up the laid back tropical atmosphere. This 2.2km, stretch features numerous bike and walkway paths, safe swimming beaches, picturesque picnic spots, a water park and chic restaurants & bars. Riverway is the destination for recreation, sport, culture and entertainment. This ultra modern facility, located on the banks of the Ross River boasts large swimming lagoons, picnic areas, a grassed amphitheatre, playgrounds and Tony Ireland Stadium. The Riverway Arts Centre is the home of the Pinnacles Gallery and a modern eatery. Gregory Street in the CBD offers a cosmopolitan village atmosphere adjoining the award-winning Strand. With exclusive boutique shopping and open-air cafe dining, it's the perfect rest stop for lunch or coffee. Murry Sports Complex has developed into a key sports hub, attracting local, state, national and international competitions. A range of sports are catered for including soccer, rugby league, hockey, cricket, AFL, basketball, netball, volleyball, futsal, badminton, tennis, BMX, cycling, darts and horse sports. Dairy Farmers Stadium is located on the Golf Links Drive in Kirwan and is the home of both the North Queensland Cowboys National Rugby League Team and more recently, the North Queensland Fury A-league Soccer team. A visit to Townsville is not complete without experiencing the buzz of a Cowboys home game. Reid Park in South Townsville, is home to the Townsville 400 V8 Supercar Event, held in July each year. Townsville's five northern beaches stretch for 60km north of the city, perfect a relaxing day out. Bushland Beach is a thriving, residential community offering many attractions and facilities such as parks, BBQ facilites and playgrounds. Beachfront Resort accommodation and a hotel provide stunning ocean views. 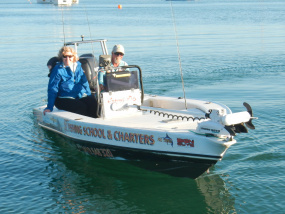 Bushland Beach is a great spot for fishing and there is a boat ramp nearby. Saunders Beach features 6km of golden, untouched beaches. This sparkling coastline priovides a picturesque backdrop to Saunders Beach Park. It is an ideal fishing location with a boat ramp just a stone's throw away. Toomulla is a more secluded beach offering excellent bird-watching and native wildlife viewing. Toomulla is also a popular fishing location, featuring a boat ramp and picnic area. Toolakea is a beautiful yet quieter beach that presents excellent opportunities for fishing and bird watching. Facilities and camping are located at nearby Bluewater Park which is home to the urban forest fitness trail. Balgal Beach is the ideal location for a day trip or relaxed holiday. There is a patrolled swimming enclosure during stinger season (Nov - May), licensed cafe and store, picnic/BBQ areas and camping facilities. Balgal Beach and Rollingstone Creek are great fishing spots. 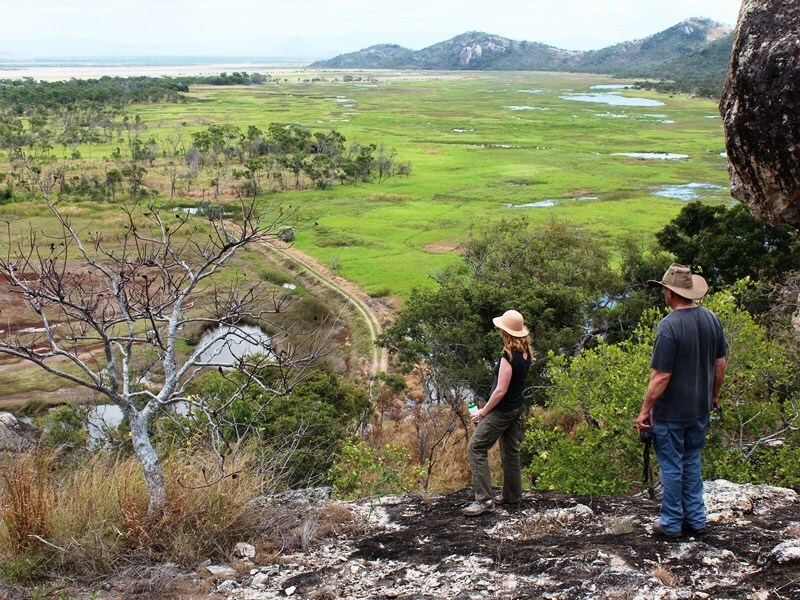 The natural bush surrounds cater for the natuive wildlife or bird-watching enthusiasts. Magnetic Island is located just 8km off the coast of Townsville in Cleveland Bay, and situated in the World Heritage listed Great Barrier Reef Marine Park. It was named by Captain Cook because of the apparent "magnetic" effect it had on the ship's compass as he passed the island when sailing up the east coast of Australia in 1770. 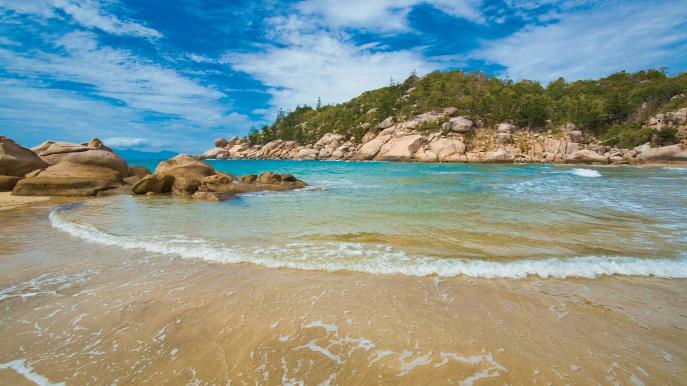 Magnetic Island is a haven for wildlife, with 54% of the land protected National Park. This mountainous island features 23 bays and beaches, fringing reefs, wildlife, water sports and walking trails. The landscape comprises of mostly granite that is studded with magnificent emerald green hoop pine trees, creating a dramatic coastline. The Aboriginal Traditional Owners of Yunbenun (Magnetic Island), the Wulgurukaba people, the ‘canoe people’, were known to have permanent camps at a number of bays, and had the ability to travel to the mainland using canoes. Aboriginal middens and cave drawings can still be found in a number of bays around Magnetic Island. Magnetic Island is a suburb of Townsville and has a population of approximately 3000, many of whom commute daily to Townsville for work or education purposes, being just a short 20 minute ferry ride from the mainland. It is the only fully self contained island in the Great Barrier Reef Marine Park, meaning it has all the conveniences of a modern city yet maintains its distinct natural beauty. The island has long become established as a holiday destination with many hotels and several resorts in operation to catering to all levels of service. 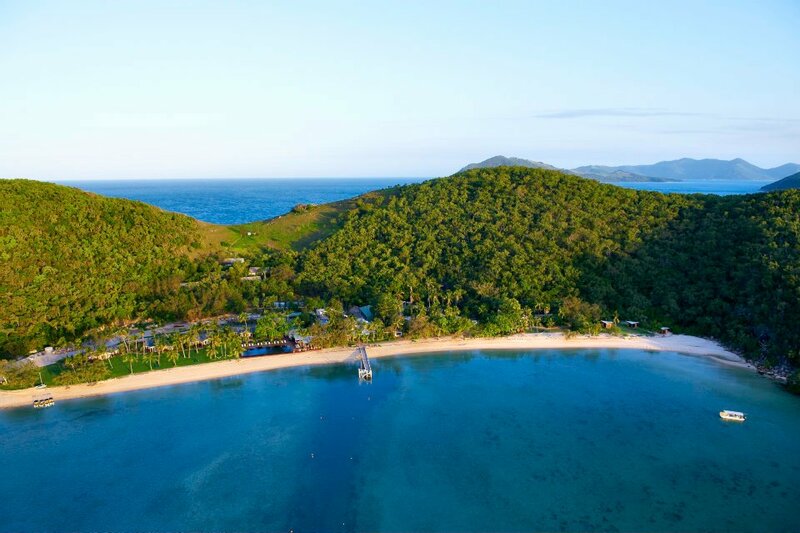 Island activities include bushwalking and wildlife spotting, fishing, rock wallaby feeding, World War II forts, horse riding, a range of water activities and plenty of resorts where you can choose simple leisure time relaxing by the pool. Koalas were introduced to the Island in the 1930s and now represents one of the largest and most concentrated populations in north Queensland. The Forts walk is one of the best areas to spot koalas and 360 degree views of the coast and the Coral Sea, including Cleveland Bay. 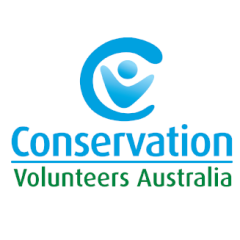 As of 2013, there are over 800 koalas estimated to be present on the island; this population represents the northern limit of their geographic range. 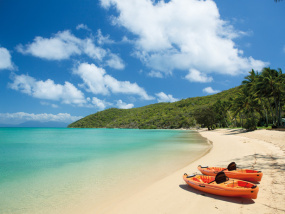 Orpheus Island is part of the Palm Group of Islands set within the Great Barrier Reef World Heritage Area. Located 110kms north of Townsville, Orpheus comprises of a pristine National Park and is surrounded by World Heritage listed Marine Park. The name 'Orpheus' was given to the island in 1887 by Lieutenant G. E. Richards, referring to HMS Orpheus. The Aboriginal name for this island is Goolboddi Island. At just 11 km long and roughly 1 km wide, the island is ideal for exploring on foot, with secluded, sheltered bays, spectacular fringing reefs, eucalypt forests and plenty of beautiful bushwalks and scenic lookouts to discover. The fringing reef is one of the most spectacular and diverse matine wonderlands. Orpheus' principal dive sites are home to 1,100 of the 1,500 species of fish on the reef, 340 of the 359 varieties of hard corals and one of the region's largest collections of soft corals. Exclusive luxury accommodation is available at Orpheus Island Resort. Just a 25 minute scenic flight from Townsville will whisk you away to absolute seclusion and serenity. 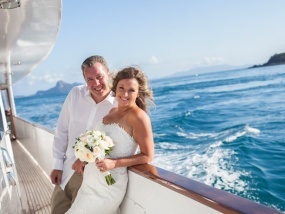 Accommodating just 34 indulged guests at any one time, Orpheous Island Resort is a gem like no other. The perfect place to unwind and enjoy views of Magnetic Island over a gelato, fish & chips or a cool drink. The Strand is a 2.2km world-class beachfront promenade, featuring walkway paths, safe swimming beaches, picturesque picnic spots, a water park and chic restaurants and bars. This popular foreshore stretches 2.2km and is a favourite with locals and visitors. The waterpark is a must for the kids - a perfect cool down on those hot, sunny days. Choose to get active with a jog, fish off the pier, or simply enjoy the great outdoors and fabulous climate in pleasant surrounds. The centre point of the city, Castle Hill is an isolated pink granite monolith that stands in the heart of Townsville. At 286m, it dominates the city skyline. The summit is easily accessible by the 2.9km road, or for fitness fanatics there are several challenging walking tracks that are perfect an for early morning or late afternoon work out. Stunning views and gentle breezes will ensure your efforts are rewarded. Riverway is a riverfront parkland attraction located in the Thuringowa CBD. The area is a cultural hub opening up the rivers habitat for residents and tourists, the main attractions are the public art gallery, cultural centre, swimming lagoons and cafe. Riverway runs for 11km of the Ross River, with areas at Pioneer Park, Loam Island, Apex Park and Ross Park at the Ross River Dam where the community, visitors and tourists can enjoy all sorts of activities from sport, swimming, entertainment, dining and shopping in one of Queensland’s most spectacular river settings. Stretching 2.5kms with views across Cleveland Bay to Magnetic Island, The Strand is a favourite place for locals and visitors to enjoy some leisure and recreation time, with swimming enclosures, playgrounds, BBQ facilities, beach areas, fishing platform, water play park and various cafe outlets. Great for an early morning and late afternoon challenge. Hike to the top of Castle Hill and reward your efforts with stunning views of the cityscape, across Cleveland Bay and out to Magnetic Island. If you don't feel like exercising then the summit is easily accessible by the 2.9km road. 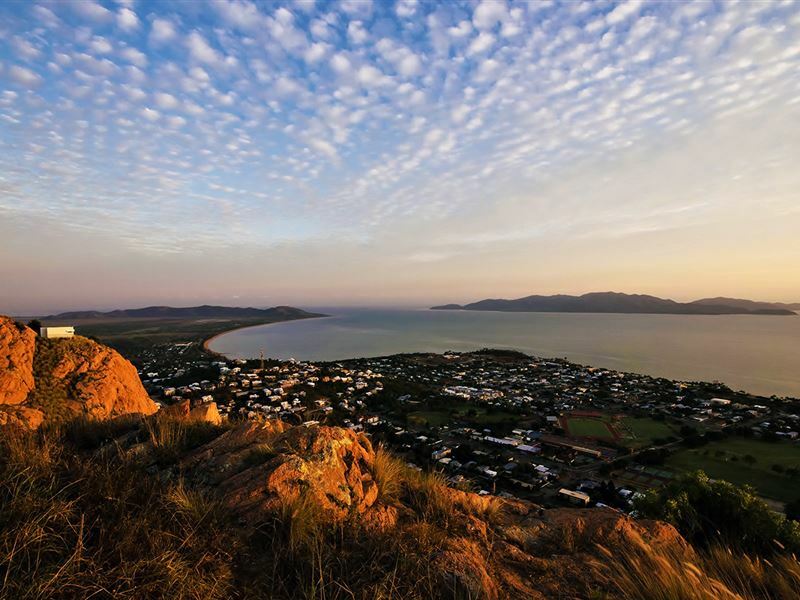 Townsville's five northern beaches stretch for 60km north of the city, perfect for a relaxing day out or a long walk on the beach. Bushland, Saunders, Toolakea, Toomulla and Balgal are all equipped with beachside amenities. Fishing, swimming, picnicking and bird watching are all activities to pass the time at these spectacular beaches. There are a number of parks scattered throughout the city, including three botanical gardens — Anderson Park, Queens Gardens and The Palmetum. Anderson Gardens is the largest botanic garden in Townsville. Covering 25 hectares, the gardens include fine specimens of tropical trees and palms, grand avenues and the World Cycad Collection. The Palmetum is a 17 hectare botanic garden displaying one of the largest and most diverse public collections of palms in the world. This extensive palm collection is displayed in a variety of habitats as a main feature of the gardens. Queens Gardens is the oldest Botanic Garden in Townsville and is heritage listed. Covering 4 hectares, it is considered a fine example of a tropical colonial garden of that era. region the perfect weekend escape. Paluma Village, just past Little Crystal Creek, is a cool mountain retreat, featuring cosy accommodation, cafes, arts and craft, bird watching and a large network of rainforest walks. Riverway Arts Centre is the only purpose-built gallery building in Townsville. The space offers a multitude of ways to present artwork and has the capacity to deliver multi-media artwork presentations. Pinnacles Gallery set inside Riverway Arts Centre is a dynamic art space committed to community engagement, artistic development and contemporary practice, owned and operated by Townsville City Council. The Pinnacles Gallery shop sells a wide variety of items including artistic jewellery, plates, Lomography Books, Lomography Cameras, Lomography Accessories, bags, postcards etc. The Perc Tucker Regional Gallery is Townsville's premier regional art gallery, offering a dynamic range of local, national and international exhibitions complemented by workshops, talks and a host of other programs. The Townsville Civic Theatre is North Queensland's premier cultural facility and a dynamic centre for the performing arts in Townsville and the region. With performances in dance, music, opera, comedy and drama, from major Australian companies to local performing arts organisations, the diverse program is designed to appeal to a broad cross-section of the community. Learn about one of Queensland's great shipwrecks, the Pandora, at the Museum of Tropical Queensland and discover the local indigenous history at the Cultural Centre. 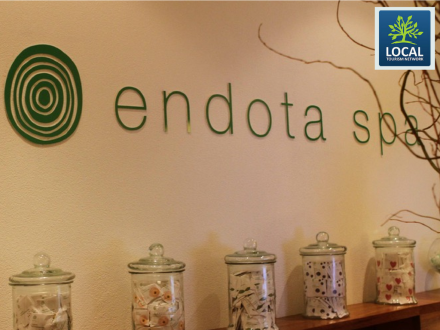 The Pandora exhibition is the main attraction at the Museum of Tropical Queensland. Visitors will be captivated by the story. 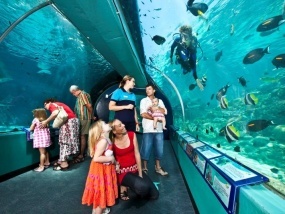 The Great Barrier Reef region stretches approximately 2000 kilometres along the Queensland coast, from Lady Elliott Island in the south to Cape York, the northernmost point of the Australian continent. The Great Barrier Reef is divided into four sections by the Great Barrier Reef Marine Act. These four sections are Far Northern Section, Cairns Section, Central Section and Mackay/Capricorn Section. Townsville is at the centre section of the Great Barrier Reef, which extends from Dunk Island in the north to Lindeman Island in the south. 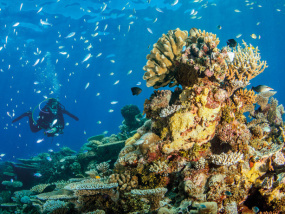 This section, like Cairns is a popular zone with visiting divers, featuring a number of top dive sites. 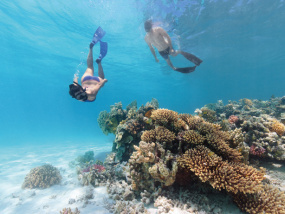 Townsville provides easy access to the Great Barrier Reef, with a handful of operators offering day trips with the options of snorkeling and diving, as well as specialist scuba dives and environmental expeditions. The best time to go to Great Barrier Reef is from March to December. However, to dive with Minke Whales and for the clearest water condition, July and September would be the time to visit the Great Barrier Reef. The Townsville Maritime Museum provides a fascinating insight into the maritime history of Townsville. 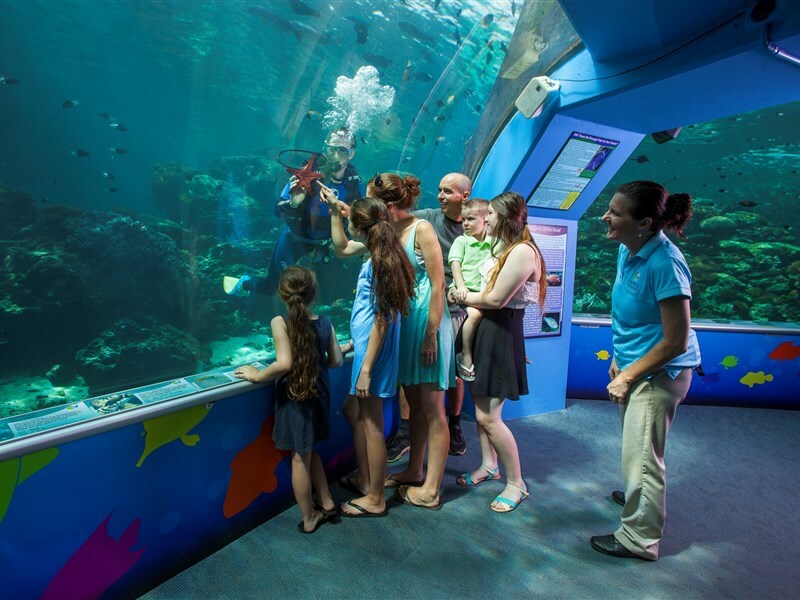 Exhibits include The Women's War Two display, which provides an insight into the lives of women living and working in Townsville during the Second World War; information about the Royal Australian Navy, the history of Townsville and its port, and the hard hat diving industry of Townsville. A model boat building room, boat shed, small research library and barbecue area can also be found here. The Maritime Museum of Townsville is best known for its display of the doomed SS Yongala that sunk south of Townsville in 1911. The display focuses on the stories of the some of the passengers and includes a video recording showing the discovery and archaeology of the wreck, one of the world's premier wreck dive sites. The museum also has the only known full model of the vessel, made by well known model-maker Michael Evans. The Museum is located on the southern bank of Ross Creek, and is just a short walk to city restaurants and other attractions. SS Yongala was a steel passenger and freight steamer built in England for the Adelaide Steamship Company. She was launched on 29 April 1903. Following company tradition, the vessel was named after the small town of Yongala in South Australia, a word from the Nadjuri language which meant 'broad water', or 'broad wide watering place'. The Yongala soon took up the busy passenger route linking the gold fields of western Australia with the eastern ports of Adelaide, Melbourne and Sydney. In 1906, she was transferred to the Brisbane Fremantle, and during this time, Yongala was the first vessel to complete a direct trip of 5000km between Fremantle and Brisbane, the longest interstate trip at that time. During the winter months from 1907 to early 1911, Yongala serviced the east coast run from Melbourne to Cairns, as the Fremantle - Brisbane route became quieter at this time of year. On the 14 March 1911, Yongala embarked on its 99th voyage in Australian waters. On the morning of 23 March, Yongala steamed into Mackay to drop off and receive passengers and discharge 50 tons of cargo. By 1.40 in the afternoon it had departed, carrying 49 passengers and 73 crew, making a total of 122 people. The Yongala, unbeknown to the captain was heading towards a cyclone. Yongala was posted as missing on 26 March. It was thought to have been lost on or about the 23 March. News of wreckage found washed up on beaches gradually trickled in - from Hinchinbrook Island to Bowen, but there was no sign of the vessel or of those on board. The wreck lay just 12 nautical miles off the coast of Cape Bowling Green in the Great Barrier Reef Marine Park with the loss of all 122 passengers onboard and remained undiscovered for almost 50 years, not being positively identified until 1958. The wreck now lies on its starboard side in 14-28 metres of water and at 109m long is the largest and most intact, historic shipwreck in Australian waters. It has become a magnificent artificial reef, providing a haven for a colourful and diverse range of marine life, and is now known as one of the world’s top wreck dives, and certainly one of Australia’s best dive sites due to the prolific variety of marine life. Townsville is at the centre section of the Great Barrier Reef. This area ranges from Dunk Island in the north to The Lindeman Island group in the south, including The Whitsunday Islands. 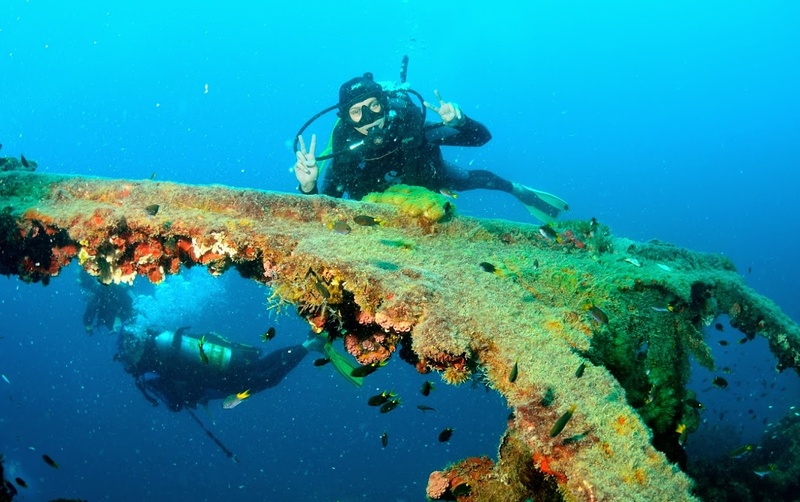 This section is a little further off the Queensland coast than other sections and has some of the best dive sites on the whole Great Barrier Reef, including the world-famous wreck of the SS Yongala. The reefs off Townsville provide a unique dive experience with a variety of scenery such as swim-throughs, underwater canyons, caves, gullies and sensational wall dives. Each reef has it's own character and special attractions. Dive operators from Townsville cater for day trips, liveaboard expeditions, charters and dive courses from Open Water to Divemaster. 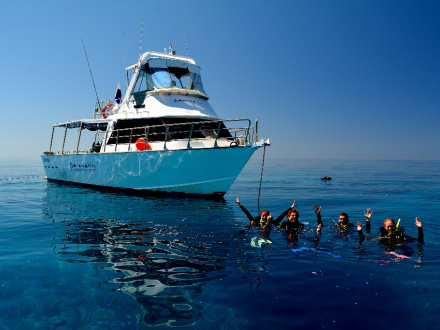 Adrenalin Snorkel & Dive is the regions premier dive operation with day trips and liveaboard expeditions to the Yongola wreck and PADI Dive Courses commencing weekly. 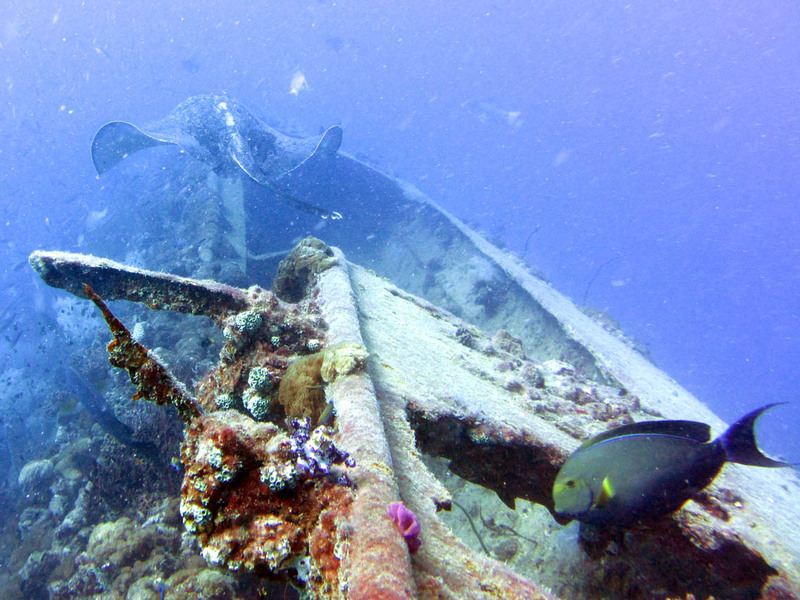 The SS "Yongala" off Cape Bowling Green near Townsville, is one of the best wreck dives in the world. At 109 metres long she is one of the largest, most intact historic shipwrecks and intriguing maritime mysteries in Australian waters. The Yongala was a luxury passenger ship sunk in a cyclone on 23rd March 1911 with loss of all aboard, she lay undiscovered for more than half a century until found in 1958. Lying on its starboard side in 14-28 metres of water, this steamer now acts like a fish and coral magnet, providing lodging for a who’s who of marine creatures ranging from small coral fish to big pelagics. The deck of Yongala is filled with anemone and clownfish. Huge Queensland Groupers, sea snakes and Blotched Fantail Rays keep divers company throughout the dive. Oysters can be found in the interior of the wreck and sponge coral on the hull. 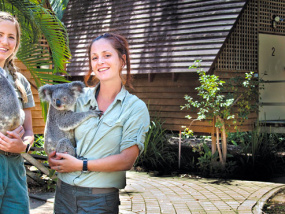 Billabong Sanctuary is an interactive wildlife park set on 11 hectares (25 acres) of tropical bushland. Home to a magnificent variety of native mammals, birds and reptiles, Billabong provides an interactive experience where you can hold a koala, hug a wombat or python, and take part in all the handling and feeding shows. This lovely sanctuary offers all the benefits of a wildlife park, without the busy, commercial aspects found in many zoos. The zoo is located just south of Townsville (17kms) on the Bruce Highway. Located at the top of Herveys Range west of Townsville, Herveys Range Heritage Tea Rooms was once the local watering hole and overnight accommodation for bullock teams and Cobb and Co Coaches en route to the Gold Fields. This historic split log inn - the oldest heritage listed building in North Queensland (circa 1865, former Eureka Hotel), has now been lovingly restored back to its former glory to once again provide scrumptious meals and a warm welcome to locals and tourists alike. And not only can visitors experience the oldest building, they can also experience the rarest coffee in the world – Kopi Luwak (Cat Poo Coffee)! The sale of Kopi Luwak is an attraction in itself. This coffee is the most unique in the world, as the coffee beans are eaten and then passed through the digestive tract of the Asian Palm Civet – a cat like animal that lives in the jungles of Indonesia. While in the stomach, the cat's digestive juices leech out many of the proteins responsible for the bitterness in coffee and result in a smoother, sweeter flavour. These coffee beans sell at $1200 USD per kilo! And visitors to Hervey's Range Heritage Tea Rooms can try a cup of the infamous Kopi Luwak coffee for $50! Located about 6 km north of Townsville city centre, the parks wildlife viewing areas and walking and mountain bike trails offer visitors the chance to enjoy nature-based recreation close to Townsville city. Walk across Many Peaks Range, ride the Under the Radar trail, spot birds from the hides or enjoy the quiet seclusion of Shelly Beach. Located 10 km north-east of Townsville, Cape Pallarenda was once a quarantine station in the early 1900's and a strategic defence location in World War II. Visitors can walk and ride the trails in the park to see the World War II structures on the Cape Pallarenda headland. over half the island is covered by National Park, there are plenty of accommodation options to suit every budget. 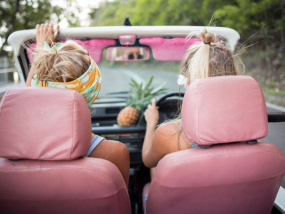 Make your way around the island in your own car or by using the local island bus service. Rollingstone Creek is only 35 minutes north of Townsville, and offers a fantastic swimming hole and plenty of free camping. This swimming hole is popular with the locals, as well as travellers passing through. Set in a beautiful bush setting with a fantastic swimming hole, it's appealing outlook is easily accessible by a conventional vehicle. Depending on the time of year, the river will usually have some rapids and several deep spots to swim in. The Traditional Owners of Paluma Range National Park are the Nywaigi Aboriginal people.The traditional name for the Paluma Range is Munan Gumburu, which means ‘misty mountain’, an apt description as morning mists are common. Paluma Range National Park is comprised of two sections. The northern section features Jourama Falls — a picturesque waterfall framed by rainforest. To the south, rainforest-cloaked Mount Spec rises 1000m above the Big Crystal Creek floodplain. Both areas offer a range of recreational opportunities. Access to the Jourama Falls section is 91 km north of Townsville, or 24 km south of Ingham. Access to the Mount Spec section is 61 km north of Townsville, or 40 km south of Ingham. rufous bettongs 'patrol' this area. Bowling Green Bay lies 64km south of Townsville. 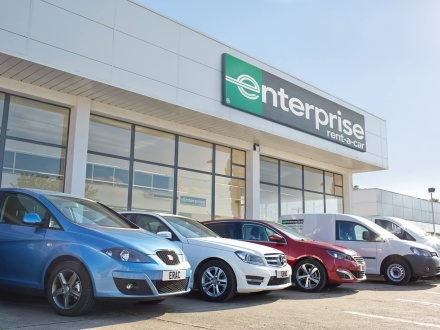 There are 3 major shopping centres - Castletown, Stockland and Willows with all the usual chain stores and servies that you would expect from a shopping centre. 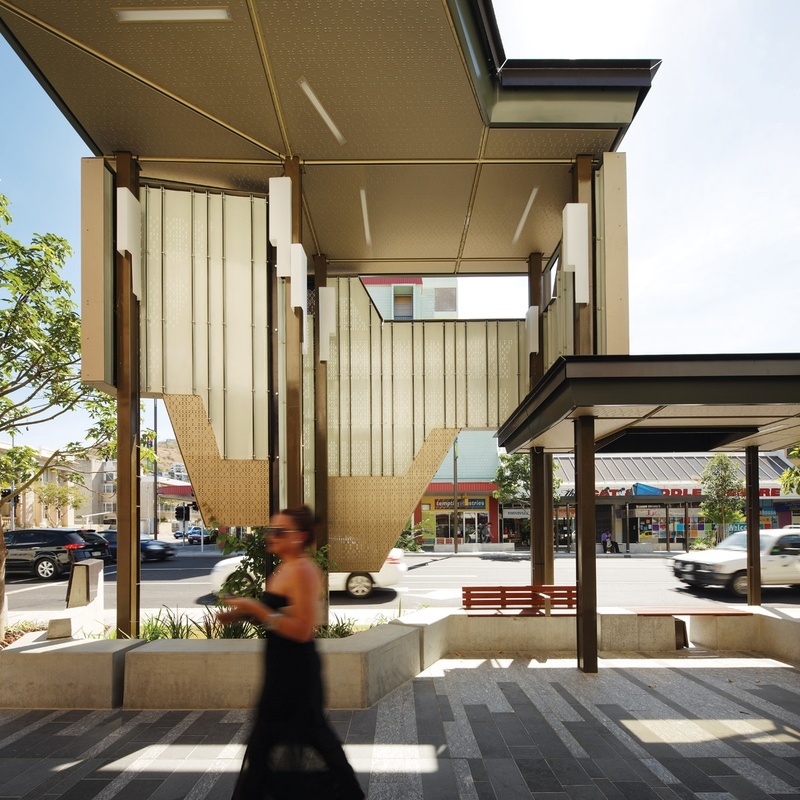 Flinders Street is Townsville's oldest shopping street which has recently undergone a major facelift and is now growing its reputation as the centre for fashion, food and atmosphere. The mall is transformed every Sunday morning when the Cotters Markets take place. Here you can pick up locally grown fresh produce, boutique jewellery, original artworks, woodwork, home-baked cake, gifts and enjoy plenty of entertainment throughout the morning. Townsville has many restaurants, whether you're after fine dining, a meal at a local restaurant, a bite to eat at a cool cafe or coffee shop or just want to grab a quick takeaway. Palmer Street is the premier dining strip in Townsville City with a range of funky bars and trendy restaurants serving everything from modern Australian to International cuisine. For the coffee lovers, both Gregory Street and Flinders Plaza are ideal places to indulge. Cannon Park Dining and Entertainment precinct offers family friendly dining and entertainment options, featuring 11 restaurants, a cinema complex and a bowling lounge. The Strand is the beachfront foreshore in Townsville, which stretches from Howitt Street in the north, along the beach, past Townsville Park and the marina, and ends at Breakwater Road. This is a great spot to grab a bite to eat with many cafes, restaurants and bars offering alfresco dining. 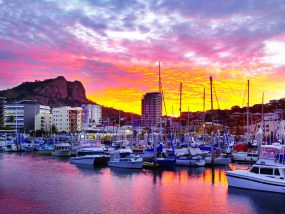 Townsville also offers a wide range of sophisticated bars, classically-styled Queensland pubs and modern restaurants. 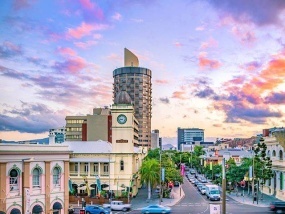 Flinders Street East is the heart of Townsville's vibrant night life, with a full suite of nightclubs and entertainment venues. 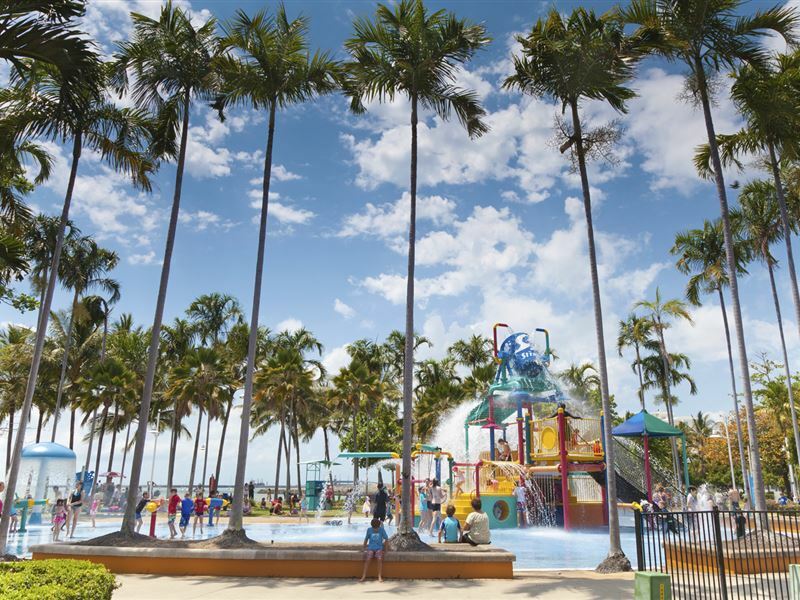 The multi-award winning Jupiters Townsville Hotel & Casino is superbly located on the Townsville Breakwater, set amongst tropical landscaped gardens overlooking Cleveland Bay and Magnetic Island. 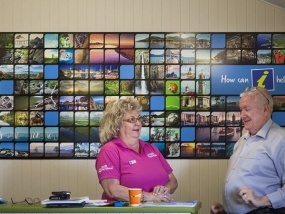 Townsville offers a wide range of hotels, motels and apartments, whether you are travelling for business or pleasure. 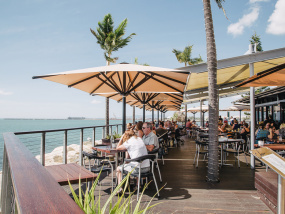 Palmer Street offers plenty of dining choices nearby by, while The Strand and Breakwater Marina is ideal for a seaside break, boasting spectacular views of Magnetic Island. 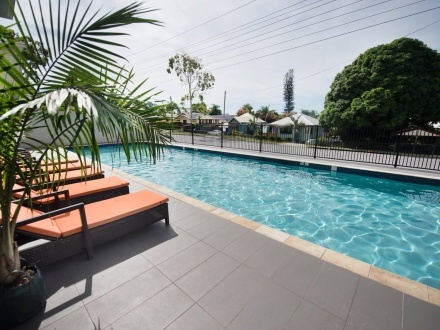 If you're heading to Townsville to see a concert or watch the footy, you will find a great range of hotels near Dairy Farmers Stadium that will put you a stones throw from the action. Accommodation is also available close to all self-drive routes into the city including Bowen Road, Paluma and the Northern Beaches. Sport is one of the top favourite pastimes in Townsville, with four national sporting teams calling the city home. North Queensland Cowboys (Rugby League), the Townsville Crocodiles (men's basketball), Townsville Fire (women's basketball) and the North Queensland Fury (A-League Soccer). If you have the chance to see a football (rugby league) match while you're in the area and are into sports, it's recommended that you do so. The atmosphere in Dairy Farmers' Stadium, the home of the North Queensland Cowboys, is abuzz at all home matches. Townsville is also host to the national V8 Supercar Circuit. The Sucrogen Townsville 400 is North Queensland's biggest sporting event and an absolute highlight of the year. Taking place over three days, the event is a full weekend of action packed entertainment including a rock concert,ladies luncheon, exciting displays, amusements and food stands. As one of 5 events on offer over the weekend The Ultra Adventurethon Caters for the top end endurance athlete across the sports of paddling, mountain biking and trail running as well as the mentally tough social athlete that loves a personal challenge to learn about what they can muster when the gauntlet has been thrown down. 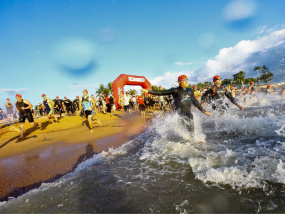 The Adventurathon will play host to the toughest Multisport Adventure in Queensland taking participants through parts of the island normally off limits to mountain bikes and rarely seen by many at all. Sharing some of the freshest sonic produce from favourite home-grown acts to international imports. With over 26 artists featuring on the Groovin the Moo double outdoor stages and in the Moolin Rouge big top tent, the festival also features local food stalls abundant with fresh produce and markets filled with knick knacks, licensed bar facilities, slingshot rides and chill out areas which all collide together to complete a premium recipe. One of the Burdekin's most anticipated social events of the year, the race day runs at the Burdekin Race Club in Home Hill. The main race is the Burdekin Cup but the fashions on the field are just as hotly-contested. There are prize giveaways throughout the day and every patron leaves with a free box of locally-grown fruit and vegetables. Palm Creek Folk Festival is an annual event, held in June each year, in the lush tropical grounds of the Mountain View Lake Eco Park, 40km south of Townsville, North Queensland. The event takes place over four days and three nights involving more than 100 performers and events with music concerts, dances, workshops, acoustic jams, youth festival, art and craft workshops, and special events. The Townsville Cup Race Day has become one of the iconic events in the North Queensland sporting and social calendar. It fills Cluden Park Racecourse to the brim each and every July forming the key part of the very successful Winter Racing Carnival. The Townsville Amateurs has drawn thousands of people to Townsville for an extended weekend of fun, festivities and top class horse racing for a Century. About five thousand people enjoy this big racing event with all the traditional trappings. The weekend of festivities begin with the Meet and Greet and Calcutta, a wonderful evening to catch up with old friends and new. On Saturday the Professional Investment Services Townsville Amateurs Cup is awarded and fashions on the field are judged. Recovery day is Sunday with a garden party held at Cluden Park Race Track, a lovely family fun day. 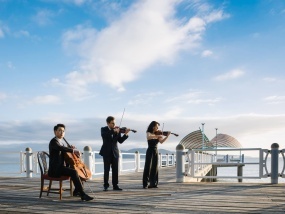 The Australian Festival of Chamber Music is an international chamber music festival held over ten days each July in Townsville. The festival has been running since 1991, and attracts many acclaimed international and Australian musicians. 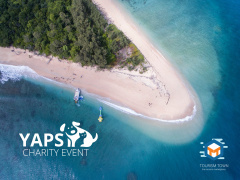 This event held by the Lions Club has been running for over 10 years and attracts roughly up to 300 competitors for far and wide, including Townsville, Cairns and Mackay. An exciting six day event comprising of a series of buoy course, passage and around the island races for racing and cruising yachts. All race activity is based out of Peppers Blue on Blue in Nelly Bay Harbour. All the action isn’t for the yachties, cruise across to the island with SeaLink Queensland for the amazing shore side atmosphere of the event. Live music, great food and daily highlights of the thrills and spills on the days racing every night! A world-class event - the Carmichael Motors Mercedes Benz Townsville Fashion Festival. For the first time, the city will come alive with an exceptional programme of events that will excite and celebrate the artform that is fashion. Three events over three days full of national and state designers, cutting-edge styling and theatre. Don't miss your chance to have front row seats! Townsville is located in the dry tropics region of Queensland, and is characterised as a tropical savanna climate. Enjoying an average of 320 days of sunshine a year, the Winter months are dominated by blue skies, warm days and cool nights, and mostly fine weather. December is the warmest month of the year with daily mean maximum and minimum temperatures being 31.4 °C (88.5 °F) and 24 °C (75°F) respectively. July is the coolest month with daily mean maximum and minimum temperatures being 25 °C (77 °F) and 13.5 °C (56.3 °F). Like most of North Queensland, Townsville is prone to tropical cyclones. They usually occur between November and May (the so-called Cyclone Season), forming mainly out in the Coral Sea, and usually tracking west to the coast. The months between April to September are the most popular time to visit when entertainment is at its high comprising of spectator sports, food and music festivals in full swing. Townsville is easily accessible with all major airlines flying into the city, and rail and bus services available via coastal and inland routes. The city is served by Townsville International Airport. The Airport handles direct domestic flights to Darwin, Brisbane, Sydney, Melbourne, and Canberra as well as direct regional flights to destinations such as Cairns, Mount Isa, Rockhampton and Mackay. Airlines currently servicing the airport include Qantas, Virgin Australia, Jetstar, Regional Express, Qantaslink, Airnorth and Skytrans. Queensland Rail operate Tilt Train services that connect Townsville railway station to Brisbane and Cairns three times a week. The Sunlander also serves Cairns and Brisbane twice a week. The Inlander to Mt Isa is operated twice a week. Townsville is on the Bruce Highway (A1) between Cairns in the north, Mackay and Brisbane to the south. The city is also served by the A6 (Flinders Highway) to Charters Towers and Mt Isa to the West. 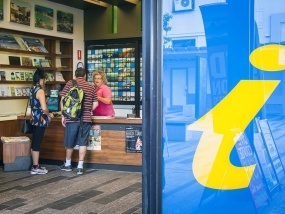 Greyhound Australia provides services to Townsville several times a day on its east coast route, connecting it to Cairns, Airlie Beach and other destinations on the coast. There are also several bus services connecting to Charters Towers, Cloncurry and Mount Isa. Sunbus services, taxis and tours will get you around the city with most attractions within walking distance. 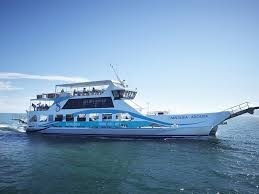 Sealink Ferries depart 19 times a day from the Breakwater Terminal Townsville to Magnetic Island. The terminal is conveniently located in close proximity to the Townsville CBD and serviced by public buses, coaches, taxis and airport transfer buses. 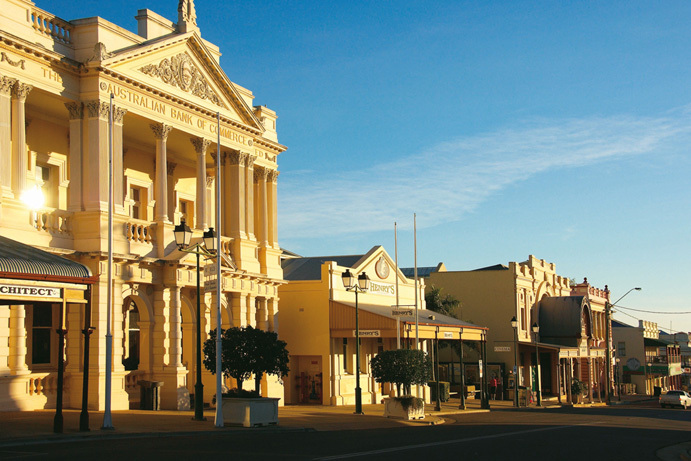 Once the second largest city in Queensland, Charters Towers is now steeped rich in history. Gold was first discovered in Charters Towers in 1871, this was the start of a boom which led to peak production in 1899. During this period the place changed from a rough settlement with bark and calico buildings to a thriving City of some 25,000 inhabitants. Properly formed streets appeared with wonderful houses and many grand public buildings. A plentiful supply of water for domestic and other purposes was pumped to the town from a Weir in the Burdekin River about 9 miles to the north. Sports, music and the arts all had fantastic followings. However the decline of mining soon followed after World War I, which saw the population shrink and the town become the supply centre or hub of the Dalrymple Shire. Today magnificent heritage buildings remain evident throughout the town, most of which are located on Mosman and Gill Streets. They are testament to the prosperity of that era with over 60 buildings of historical significance. Take a guided tour of the Venus Battery, Queensland's oldest intact gold mill, where over $790 million worth of gold (in today's value) has been processed. Join a fascinating 'Ghosts of Gold' Heritage Trail to celebrate the city's golden heritage. Ghost of Gold is a whole town experience which incorporates today's existing sites that were tied in with the city's gold rush. Charters Towers is located 134 kilometres inland south-west from Townsville on the Flinders Highway. It has a range of accommodation options so you can leave the traffic lights and the hustle and bustle of city life behind, and savor a historic journey back in time. The Burkedin is located just an hour's drive south of Townsville. Known as the sugar capital of Australia, the Burdekin is also famous for its fantastic fishing, unspoilt beaches and spectacular wetlands. Nestled in the delta of the Burdekin River, the shire’s main towns of Ayr and Home Hill are located just 12km apart and are linked by the landmark Burdekin River Bridge - at 1103 metres, it is the longest of its type in Australia. The Burdekin is prized for its farming land. The mighty Burdekin River, the huge reserves of the Burdekin Falls Dam and a massive underground aquifer which lies just 10 metres below the surface has provided the region with a wealth of water allowing Burdekin farmers to produce the biggest and sweetest sugar cane in Australia, as well as mangoes, melons, capsicums, zucchinis, tomatoes and many other small crops. Along the coast you will find Alva Beach, a popular launching spot for dive boats heading out to the S.S. Yongala shipwreck. In May, check out the fashions on the field and soak up the atmosphere at the Burdekin Grower Race Day. It’s a highlight of the local racing calendar, with the main race being the Burdekin Cup. 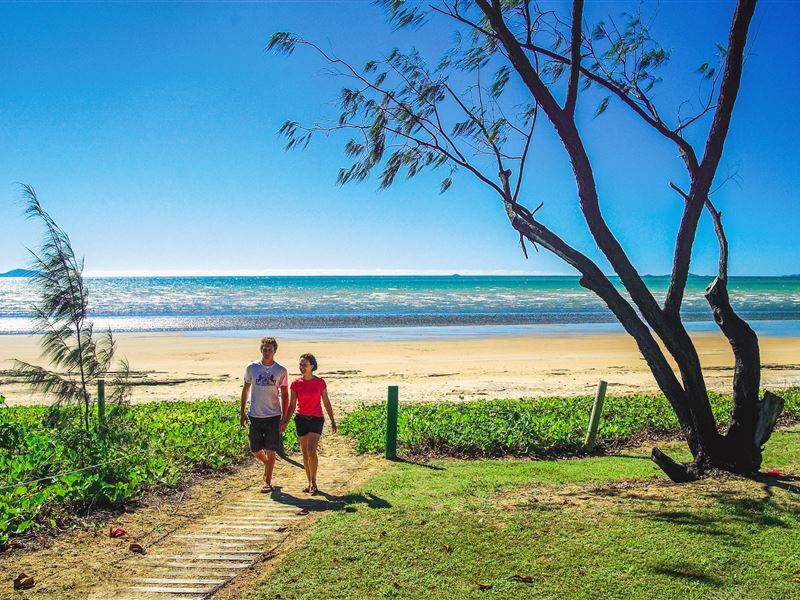 Perfect for nature lovers and adventurers, Hinchinbrook provides a wonderland of eco-activities and attractions where you can discover some of the Region's diverse landscapes and nature on the Wet Tropics Great Walks. The region is situated around an hour's drive north of Townsville with Ingham being the main being the main town in the Hinchinbrook Shire, situated 110km north of Townsville. Highlights of the region include Wallaman Falls - the highest single drop waterfall in Australia, Mungalla Station where you can meet with local Aboriginal people and learn ancient Indigenous cultural traditions, Lees Hotel - the original pub with no beer and Hinchinbrook Island Australia's largest National Park island that abounds in flora, fauna, palm-fringed beaches, mangrove waterways and rugged granite crags. Hinchinbrook is a bushwalker's paradise. The famous Thorsborne trail, a 32 kilometre wilderness walking trek, is possibly one of the seven great walks of the world. Travelling along the Island's east coast, the trail is restricted to a maximum of 40 people on the trail at any one time, to help minimise impact and preserve the wilderness setting. You'll see rainforests of Milky Pine, Palm Figs, and vines, with more than 66 species of birds, 22 species of butterflies, 29 different mangroves and many varieties of fish and crustaceans. It is paradise for the nature lover.